BB NOTE: The Bishop of Durham, N.T. 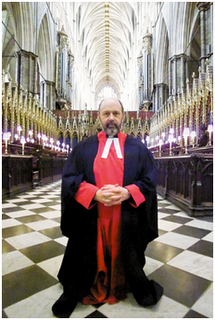 Wright has told the London Telegraph that the Lambeth Conference lacks direction and the Anglican Communion is a “slow moving train wreak,” and telling the Telegraph that there is deep unease over the future of the communion and an atmosphere of mutual suspicion among bishops. The Americans know that Dr. Williams has structured the Conference so that the most pressing issue facing the Anglican Communion will not be addressed. The Americans also know that they will have a free hand effective immediately since their “official” Anglican standing is safe for another ten years. So the Episcopalians can hallucinate any kind of Conference they like. Bishops like Dr. Wright, on the other hand, who claim to have been shocked by the American and Canadian actions of 2003, may finally be coming to the realization that Rowan Williams has structured this Conference so that the Americans and Canadians will get away with it. And they may realize that, Anglican Covenant or no Anglican Covenent, the controversy is not going to go away. Indeed, it will probably get even worse. So we should expect more “happy talk” from the Episcopal bishops who appear to be trying not to keep their heads down and not rock the boat (including locking Gene Robinson out of the gathering of bishops with jurisdiction on Tuesday, much to the Bishop of New Hampshire’s shock) while Anglican bishops like N.T. Wright start to smell all that coffee the lobbying Episcopal activists at Lambeth keep reporting in their blogs they are drinking. We almost start to wonder if the happy-talking bishops under the Big Blue Top and the Episcopal activists out on the streets are not in such happy accord after all. Otherwise, what are they doing there? Bishop Wright added that the summit was lacking direction and questioned how effective it would be.